AP inaugurated its Cabinet of Curiosities at Venice Biennale’s 15th International Architecture Exhibition, on Thursday, May 27th. The exhibition at Palazzo Mora forms part of a series of collateral events under the title ‘Time Space Existence’ and is organised by the Dutch non-profit Global Art Affairs Foundation. 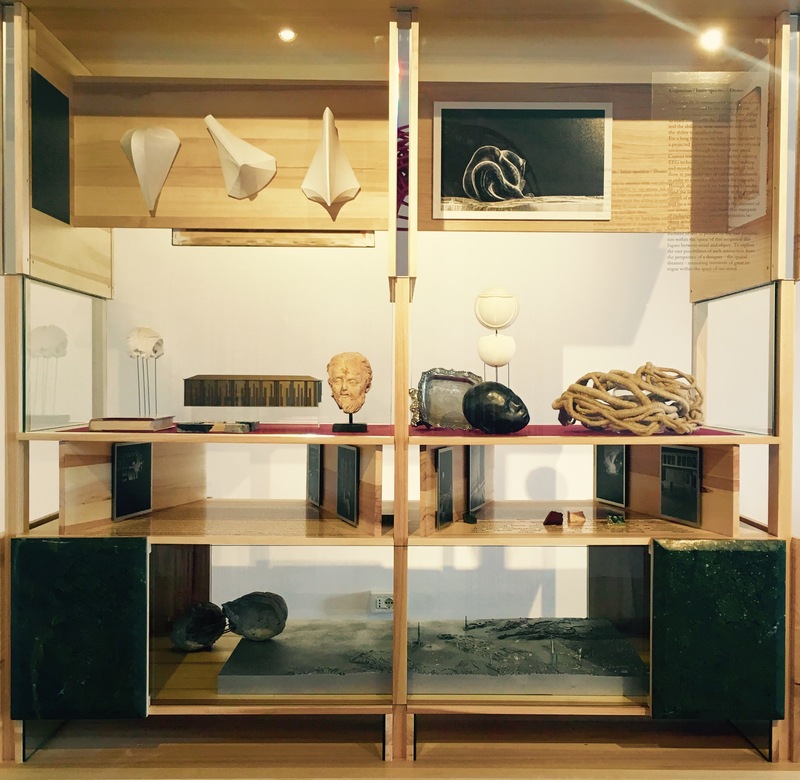 AP’s installation, conceived as ‘cabinet of curiosities’ recollecting objects and images from AP’s 25-years-old memory, allows for a viewing not of architecture projects, but of ‘the coming-into-being’ of multiple social narratives particular to its projects. We report on the transformation capacities implicit to architectural practice where each project evolves from and towards the construction of a social space. It emphasises the need for the architect to become a modern-day alchemist who must search for the secret of turning lead into gold. Experimental processes on the theme of The Severed Head are emphasised to encourage interaction by the viewer, while unpacking artistic representations of severed heads connected in one way or the other to the buildings that the practice has been involved with over the years; from a 16th century clay head of St. Paul found inside the well of a house in Zejtun to the Beheading of St. John by Caravaggio in the Co-Cathedral, and to contemporary depictions of severed heads by Maltese artists Madeleine Gera, Alex Attard, Aaron Bezzina and Aude Franjou. The head is icon, artefact, symbol, metaphor and religious object. It is, especially, the locus of thought that technologies of brain scanning today can turn into a springboard to new architectural creations. The Time Space Existence exhibition is open to public until November 27th 2016 at Palazzo Mora in Cannaregio, Venice. This project is supported by the Malta Arts Fund, Project Support Grant managed by Arts Council Malta. We would also like to thank our sponsor Reuben Lautier Natural Stone Workshop and artists Alex Attard, Aaron Bezzina, Aude Franjou, Madeleine Gera for contributing with their artworks to the theme developed in our cabinet of curiosities.